This is an intensely floral soap. It is sweet and earthy offset by its delicate floral aroma. Definitely a treat for your skin and senses! Enjoy the relaxing and calming properties of this soap. 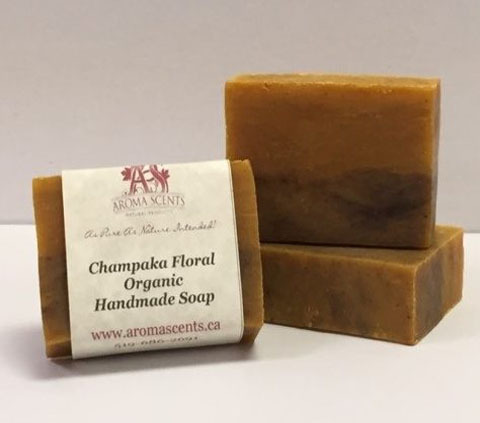 Champaka oil is a wonderful moisturizer with anti-viral properties. Black Walnut powder adds gentle healing properties too. You will definitely savor the aromatherapy experience of this soap as it soothes your soul and your skin!! Sweet, earthy and rich floral notes make this a classic floral blend.